Douglas has sent details of this College event taking place in collaboration with other Midlands universities on 24th March at 5:30pm. 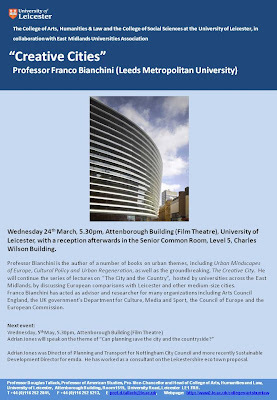 Bianchini is going to be talking about creative cities. He's comparing Leicester to European places. More details if you click on the photo.